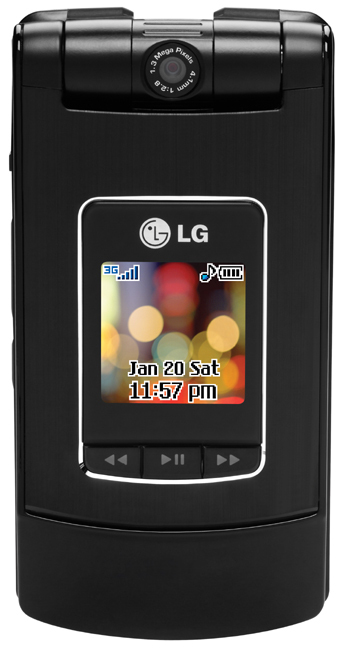 The LG CU500 is currently in a softlaunch from Cingular (it was approved in April, but hasn't been shown off until now). It's the first of two HSDPA equipped handsets that Cingular plans on launching. The HSDPA 3G standard is comparable in speed to EV-DO and is up to 5x faster than UMTS, which is used by Cingular's original 3G handsets. User reports from HowardForums show that the CU500 is available now in select markets and will likely see a wider release (such as online sales) as soon as tomorrow. 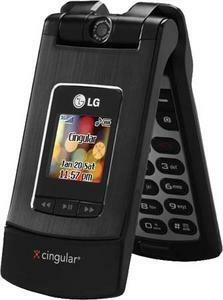 Cingular is selling the CU500 for $149.99 after rebate and a 2-year service agreement. The second HSDPA equipped handset, Samsung's ZX-20, is expected to launch soon. Two more photos of the handset are available below.